What you choose for your flooring will make a huge difference to the final look of your home – but what do you need to know before you decide which way to go? We asked flooring expert Gaius Piesse from Forte Flooring to share his thoughts about the look and feel of flooring. Do you have any recommendations for achieving your ideal look and feel through flooring? Timber flooring is a wonderful investment to add to your home. Its natural beauty can act as the foundation for the look and feel of your interior, while adding character and texture that cannot be achieved with any other type of floorcovering. Timber flooring can suit any style of interior, from rustic to contemporary, eclectic to modern and more – it's all about what look and feel you want to create within your home. What factors have the biggest impact on the look and feel of your timber floor? There are four major factors that affect the style of your floor – amount of knots/feature, the texture, the colour, and the format (plank width and/or pattern). Can you elaborate on knots/feature for those who aren't familiar with those terms? The amount of knots/feature and texture play a huge part in your floor’s style. 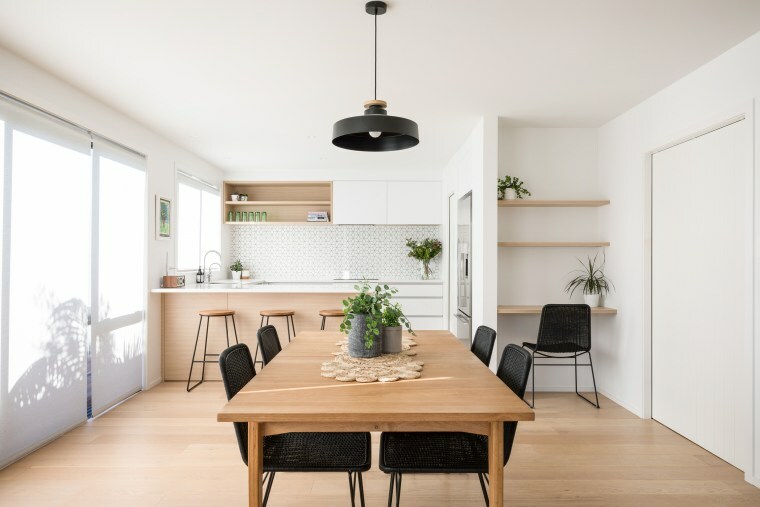 For example, floors with many knots, feature and texture lend themselves to a rustic homely feel, while floors with minimal knots, feature and texture can create a modern minimal feel. And what effect does colour have on look and feel? Colours play a big part in getting the right look and feel. Lighter coloured floors can bring a sense of calm to your interior, while yellows, browns and caramel tones can inject warmth. Greys and beiges are known for their neutrality and dark colours can be used to add sophistication. There's also plank format – can you tell us about some of the options available? Narrow planks can make a room look cluttered and busy, while medium width planks suit most spaces. On the other hand, wide planks will add a feeling grandeur and spaciousness. If you really want to make a statement, consider herringbone or chevron patterns – they are a trendy and timeless option that leaves a big impression! So be sure to give your flooring the consideration it deserves to complement the specific look you want to achieve. Stay tuned for more flooring tips and advice "instalments" coming soon.